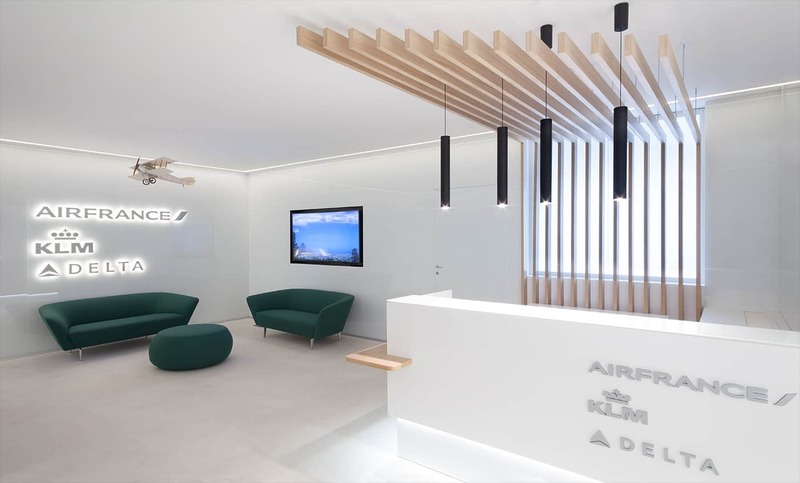 Neutral shades and natural materials are alternated with punctual accents of green in the new headquarters of AIR France – KLM Group in Milan. 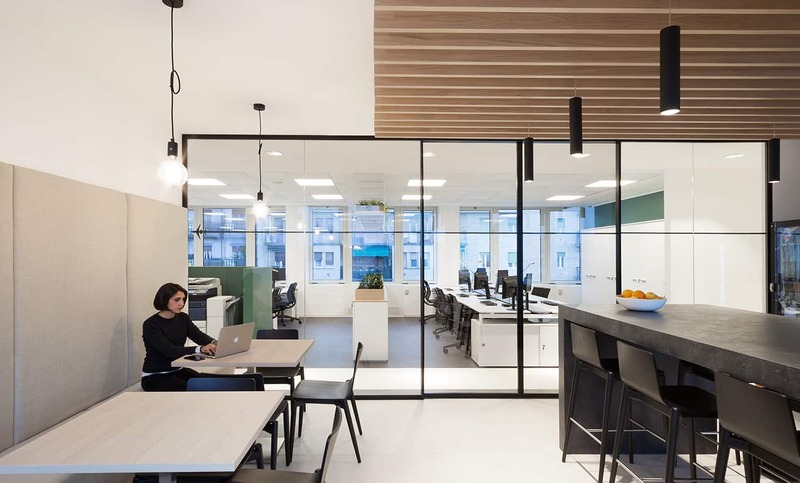 Created by Progetto Design & Build on the concept design by Progetto CMR, the new space welcomes visitors in a reception with back-painted glass walls with a particular structure in wood slats. This sculptural element serves as a scenic background behind the monolithic block in white crystal of the reception, and wants to return the shape of a sail to recall an idea of ​​lightness and freedom connected to the concept of flight. Equally, the furnishings in the waiting area have subtle textures and warm tones, to ensure comfort and visual cleanliness for the whole environment. 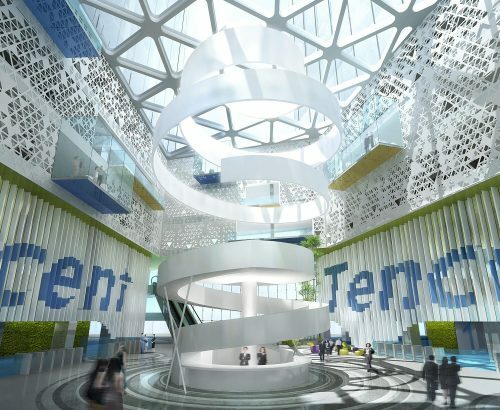 The workspaces inside are distributed in a bright and comfortable open space. 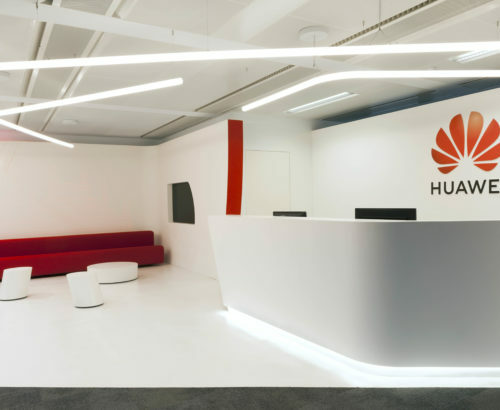 Here, operational and functional islands characterized by neutral and uniform tones are alternated with meeting rooms and closed offices consisting of full-height glass walls with contrasting profiles and doors. 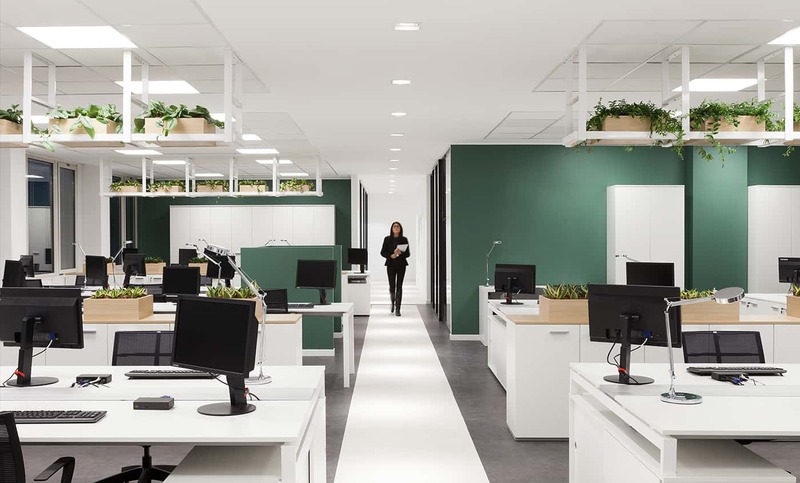 The choice of furnishings in the closed areas has been conceived from an aesthetic-functional point of view, as these spaces can host meeting rooms and private offices depending on the need. 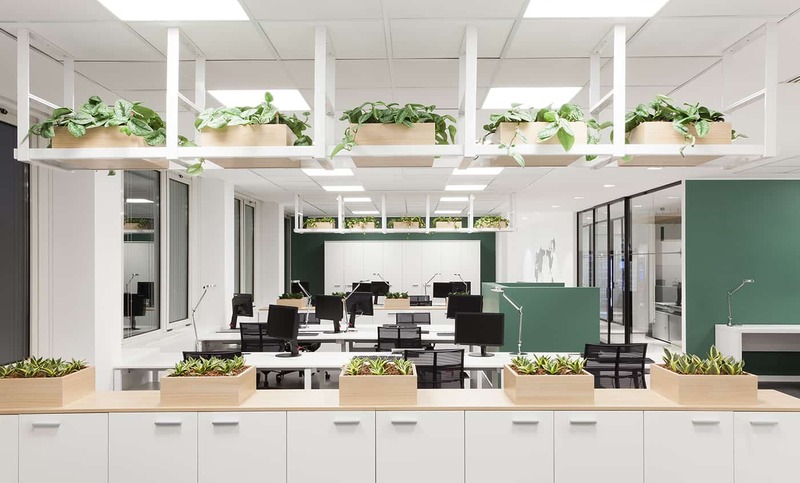 The space, characterized by warm shades of beige, white and green, is punctually interspersed with a series of plant elements hanging from the ceiling or placed between the workstations. This gives the space an intimate and comfortable atmosphere while the wood’s material warms the environment, contrasting with the purity of white and green tones to foster a greater sense of well-being and perception. Great attention was also paid to the design of the break area: a multifunctional meeting and leisure space, that gives back a particularly relaxing image. 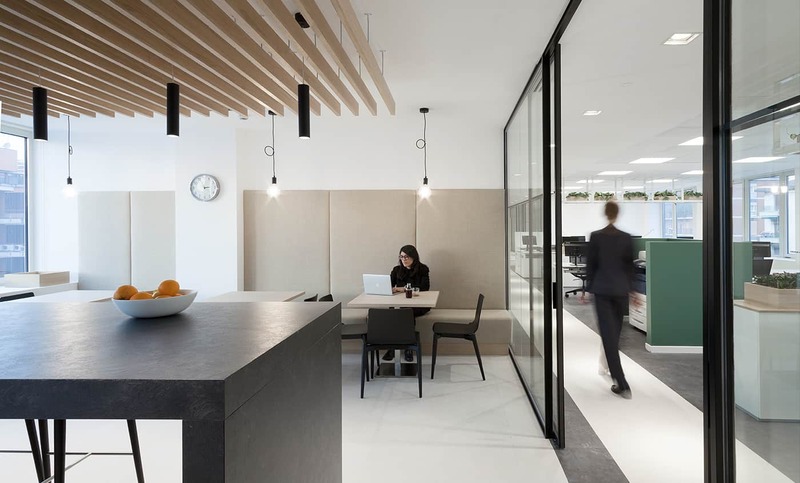 This area is natually included within the office workspaces thanks to the large glass walls and the reuse of the same materials.